New figures have revealed more than 400 council tenants are in rent arrears across Aberdeenshire, with an average debt of £925 each. Parents across the north-east have been urged to apply for new child benefits. David Elrick had a job as a sales assistant in Dobbies, between March 21 2016 and January 20 2017, while claiming employment and support allowance. 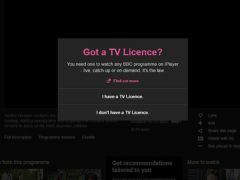 Concerns have been raised over how the BBC will cope when it begins funding free TV licences for the over-75s. An Aberdeen woman has been handed unpaid work after admitting claiming almost £18,000 in benefits she was not entitled to. Preparations are under way for the roll-out of a benefit which has previously led to a rise in the number of people applying for crisis loans. Job prospects in the north-east are looking up, according to new statistics. A woman has been spared jail after falsely claiming £14,000 in benefits. Aberdeen spends more to top-up housing benefits, per household, than anywhere else on Scotland.